What is the Project Summary Report? The Project Summary Report provides a quick, high-level financial view for a single Project or Group or Projects. The report can be run on a single Project or a group of Projects, specified individually or grouped by Type or Location. 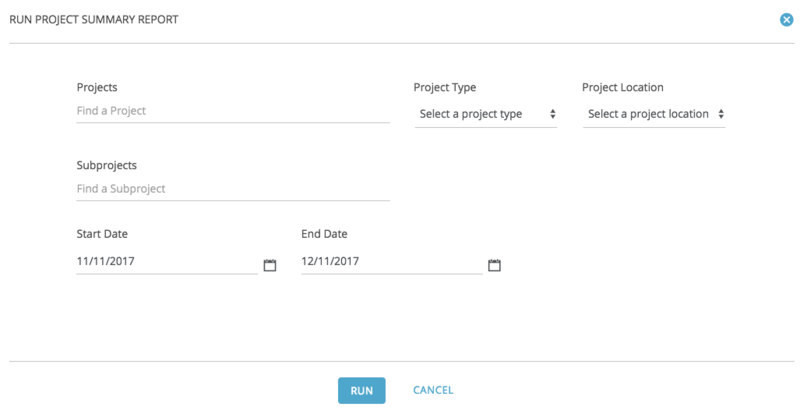 When running the report, leave the Project field blank to report on all Projects for your organization. Use this report frequently to monitor the fundraising progress for your organization's key initiatives. 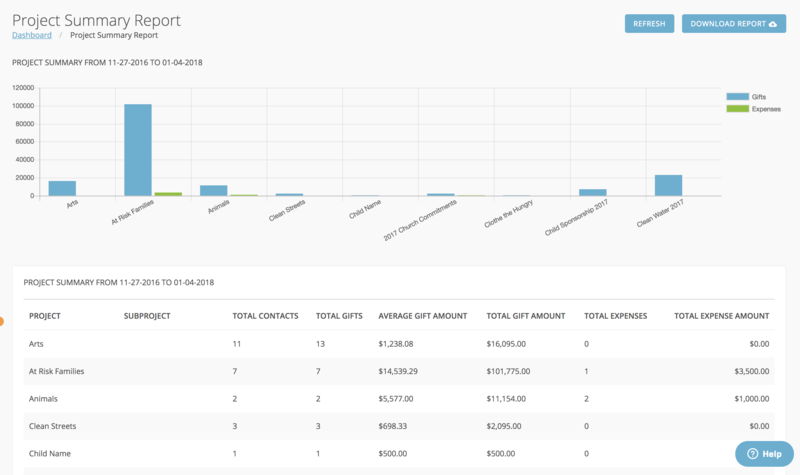 To drill down further and see a detailed listing of gifts that includes Giver information, use the Gifts by Project report.